This summer we will take a break from The Story but you don't need to take a break from reading the Bible together as a church and being part of a community sharing God's Word together. Sign up on the church website or in the lobby at the theater for "Revival - 40 Days of Devotions." 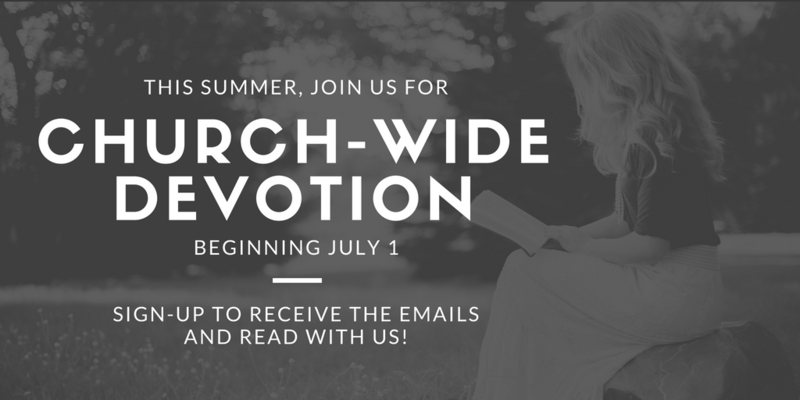 Beginning July 1 you will receive a devotion in your inbox. You will be part of a private group receiving the devotions for 40 days and can comment and respond to the comments of others. All you need is an email address and you can stay connected throughout July and early August while you are away for summer sports, vacations or work travel. Join us this summer for Revival and study God's Word together with the link below!